Over the next few weeks you’ll get the chance to test out some new, exciting features we hope you find useful and a bit of fun. 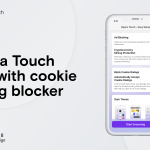 This year Opera Mini isn’t just about helping you access more of the web, but also enabling you to interact with more content while you browse. It’s still early but we’re excited to share this unique tool we’re working on and get your feedback. It’s all about getting download files to you as quickly as possible. Let’s face it, download websites aren’t always easy to navigate. They contain lots of distracting ads and sometimes huge lists of download links with no indication of which ones actually work. Here’s where Opera Mini steps in. 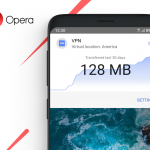 With Extreme data saving mode activated, Opera Mini will automatically scan these websites for the working direct download link and serve it to you from a drop-down menu in the top of your screen. No scrolling, no getting lost in click-jungles. So far it’s available on Facebook, Pagalworld, Tubidy, DJPunjab (as a big high five to our awesome community in India) and a few others. But the list is always growing based on sites that you guys on Opera Mini use the most. Do you spend a lot of time on Facebook but don’t like the heavy, power consuming Facebook app? 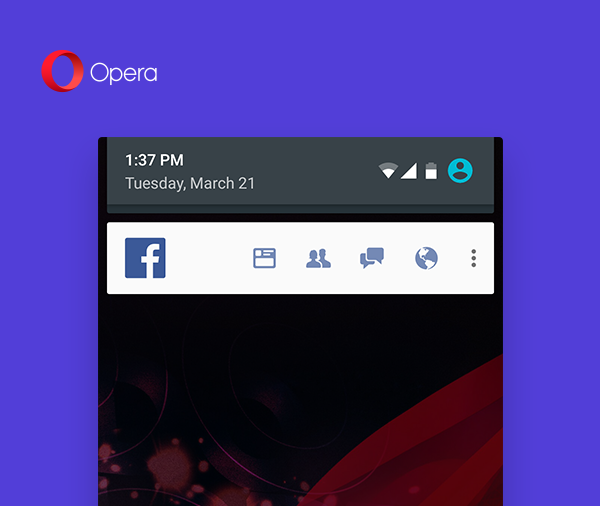 Opera Mini now allows you to follow your feed and friends without relying on the Facebook app. 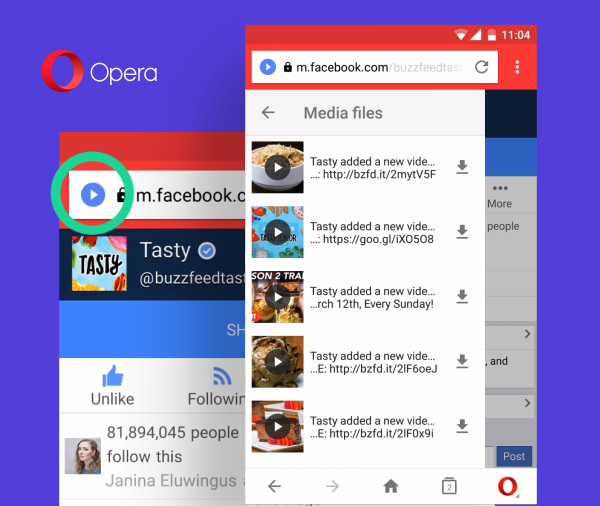 When you login to Facebook with the latest Opera Mini, you’ll have the opportunity to add a handy notification bar that lives in your notification drawer. The notification bar will keep you up-to-date when you’re mentioned in a comment, receive a friend request, a direct message, or any of the numerous types of Facebook notifications you typically receive on any given day.